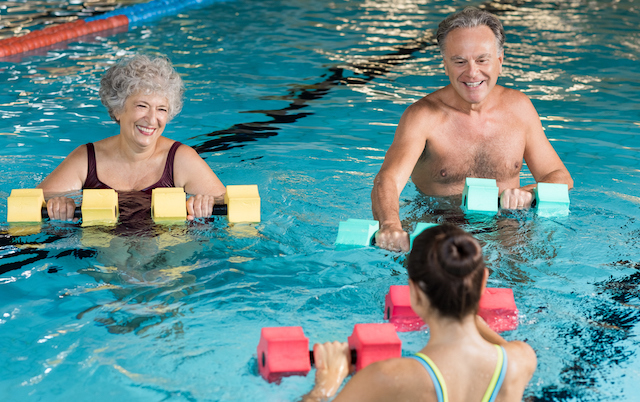 The beneficial effect that physiotherapy and exercise can have on the physical capacity in people with Parkinson’s, has been proven in numerous exercise studies. Recently, the use of non-traditional types of group community exercise programmes in Parkinson’s such as dance, boxing, Nordic walking, Tai Chi, and Qigong, have gained considerable attention as a means for on-going maintenance of good physical capacity. However, the true benefits of these different community exercise approaches and the best implementation methods are still limited, with the quality of research varying widely among the different studies published. Ultimately, should we obtain more evidence about community exercise programmes and then implement them within the community; or should we start these programmes first, even if little evidence is available? Once we have the evidence, how can we standardise procedures among worldwide communities? How relevant is this problem? By prematurely referring people with Parkinson’s to exercise approaches that don’t have robust evidence and expertise, health professionals could ultimately be putting patients at risk. Should clinicians be adding these types of interventions to their clinical practice? Would it be more effective to train the exercise instructor teaching the community programmes, or would it be better for the physiotherapist to simply incorporate boxing, dance or tai chi into their practice, also taking into account the financial considerations of both approaches, accessibility, safety issues, progressive nature of the disease, need for expertise? Regardless, it’s reasonable to believe that combining strategies might potentially have synergistic effects and there might be a place for both. From the perspective of a person with Parkinson’s each suggestion of potential benefit for a new intervention might raise false hope and result in frustration or disappointment with a lack of results, particularly for patients, who may be unaware of the potential gap between the evidence and clinical practise. In addition, if a person with Parkinson’s gets involved in a potentially less helpful exercise approach, resources such as time and money that can be better used for other programmes are inappropriately committed and unable to be used elsewhere. The simple act of bringing a group of people with Parkinson’s together in order to undertake a standardised community exercise programme does not necessarily mean that the programme has been tailored to address issues related to Parkinson’s. As a result, it may not necessarily bring about the clinical changes that might be expected or desired by the patients. And, to complicate this issue, popular press and other media has a tendency to hype results without regard for the quality of the research. As a result, it can be difficult to ascertain best practices, particularly for the end user, namely the person living with Parkinson’s. How can Parkinson’s patients separate the good from the bad? People with Parkinson’s, clinicians, health professionals and exercise instructors should challenge themselves to create the best conditions in order to foster and sustain the highest standards of transparency and quality in any Parkinson’s care setting. It’s often said that ‘any exercise is good and the best exercise programme is the one you stick to’. But, at the core, ‘sticking to it’ means believing that the exercise truly has positive effects on the needs and expectations of people with Parkinson’s. To enhance the possibilities of obtaining these positive effects, people with Parkinson’s will ultimately need evidenced-based knowledge to support their decision. Optimal Parkinson’s-specific expertise among people who deliver physiotherapy has been shown to result in better interventions, particularly with respect to issues of safety and avoiding “adverse events” such as falls and injuries. Although there is no golden standard for ‘Parkinson’s-expertise’, this phenomenon is associated with the number of patients treated annually (case load of >5 annual and receiving continuous, up-to-date Parkinson’s-related education). If you are working with a physiotherapist or an exercise instructor that does not have specialised expertise in Parkinson’s, alert them to international physiotherapy guidelines for Parkinson’s, freely available to download from the ParkinsonNet website. Combining adequate educational content with on-going contact with Parkinson’s patients, will ultimately improve the instructor’s skill set and enhances expertise over time. This will ensure on-going adherence and benefits in the long-term. Sara Riggare, who live with Parkinson’s and has been managing her symptoms for over 32 years, shares her perspective: “If you’re a scientist you base your decisions on evidence but as a patient there are so many more aspects you have to take into account. For example, what kinds of exercise programmes are available in my area? Are any included in the healthcare system or will I have to pay out of pocket? Will I need (expensive) special equipment? Can I combine it with my work hours, my family obligations and with medication timings? Will my doctor approve? Will I be able to get personalised advice? The stress of knowing that you should exercise but maybe lacking the energy or the executive abilities to organise it can also be significant”. Maybe few people with Parkinson’s can do what Sara did, ultimately and hopefully professionals will desire to seek knowledge and reduce this burden on patients. Ultimately, practical recommendations on how to adapt general exercise into community programmes that integrate the complexity of exercise and specificity to Parkinson disease could help guide the implementation of such programmes. Incorporating community instructors to the existing health-care infrastructure will allow quick dissemination of new evidence to dedicated professionals, independently of their profession. 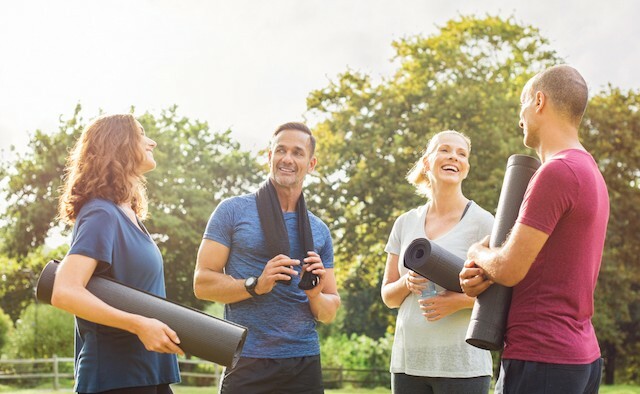 Finally, increasing public interest and awareness in the need for specialised community exercise programmes will positively influence the direction of clinical research, advancing clinical practice and producing costs to health care systems. Sara Riggare lives in Stockholm, Sweden and has been managing her own Parkinson’s disease for years. In 2012, she began her doctoral studies at the Health Informatics Center at ‘, Sweden. The focus of her research is ‘Personal Improvement Science in Parkinson’s disease and she uses a combination of social media, knowledge, pharmacological treatment, and exercise to maximise her “feel-well-time”. Could depression be a warning sign for Parkinson's? Take the Parkinson’s Life survey for a chance to win!